The 2019 Chevy Colorado gives truck enthusiasts everywhere a chance to finally invest in an affordable everyday truck that offers plenty of resilience and boldness while maintaining a more civilian appeal. Not everyone can afford to go big or go home, so the 2019 Colorado gives you the option you never knew you had, to go smaller. The 2019 Chevy Colorado is a smaller more compact pickup truck that combines sleek style, affordability, and powerful precision. This model gives Chevy truck fans a smaller more refined option for those that may love the convenient and commanding power of a truck, but are not exactly fans of the difficulties that come with it. Most trucks have an intense focus on boldness, but the 2019 Colorado gives just the right amount to highlight its power without becoming obnoxious. Additionally, trucks can be problematic to handle at times and tough on fuel economy due to their massive size, but being a smaller pickup, the 2019 Colorado is easy to maneuver while offering a max fuel rating of 30 mpg highway. So if you want a truck that was carefully crafted to balance size with power in the most efficient way possible at an outstanding value starting at barely $20,000, the 2019 Chevy Colorado is calling your name. The design of the 2019 Chevy Colorado is fairly straightforward for a compact truck. While the design is bold enough to show off its muscles, you can easily imagine this truck seamlessly fitting into your everyday life of work, errands, and unwinding. Its muscular good looks and small stature work together in a surprisingly cohesive manner that displays what the 2019 Colorado is truly all about, convenience and strength. Some would even argue that this is the best-designed truck in its class of the year. The exterior creates a beautiful mix of American confidence with the brash detailing and European sleekness with the fluid framework. Smaller details that are used to increase functionality of the exterior design include a larger rear bumper corner step and hand grips, four standard and a max of thirteen fixed cargo ties, a fully boxed frame, and large headlamps with available LED lighting. If you feel the need to go the extra mile when it comes to making an aggressive statement, you can also get the Colorado Reline Edition that is available on the LT crew cab, and extended cab boasts a sort of sporty urban look. This look is all about sharp red and black accents. The window trim, mirror caps, door and tailgate handles, Chevy logo, grille and surround, and off-road assist steps all give a darker tone, while the18-inch wheels and recovery hooks are tinted with red. As for the interior, the inlaid triple-sealed doors, thick windshield and glass, and liquid-based sound deadener come together to keep the inside in and the outside out. You will almost instantly be able to forget you are even in a truck as the road will seem nonexistent until you look out the window. This is just one example of the luxurious comfort offered by the 2019 Chevy Colorado. Ruggedly good-looking, manageably sized, and fitted for comfort and functionality, the design of the 2019 Chevy Colorado is one no driver should overlook. While the 2019 Chevy Colorado may not be as powerful as say the Chevy Silverado, it most certainly ranks well for its class. With three engines to choose from you will never be short of power for your everyday life. The standard engine is a 2.5L 4-cylinder engine that produces a solid 200 horsepower and 191 lb-ft of torque. Many drivers believe that pickup trucks are inefficient when it comes to fuel, but the EPA rating for this engine is a respectable 26 mpg highway. As for towing potential, this engine can handle up to 3,500 pounds, which may not seem like much, it is enough if you handle small loads any day of the week. The fuel rating and towing potential of a 2019 Chevy Colorado are more impressive than any other 4-cylinder model in its competing class. The advanced engine options that ups the performance to the next level a 3.6L V6 engine that offers 308 hp and 275 lb-ft of torque. The fuel economy for this engine decreased barely to a still impressive 25 mpg highway, while the towing potential was boosted to 7,000 pounds. This engine is the top-rated V6 when it comes to towing, and the horsepower is the best in its class. The alternative fuel engine option is a 2.8L turbodiesel with 181 hp and 369 lb-ft of torque. This engine is able to get the most out of the 2019 Colorado by maxing out the fuel efficiency as well as the towing potential. The fuel efficiency is 30 mpg highway, while the towing potential is 7,700 pounds. There isn’t much that isn’t best-in-class about this engine considering towing, fuel economy, and torque are all rated higher than any of its competitors. It is clear to see by the powertrain selection alone how much potential the 2019 Chevy Colorado has, and anyone considering a compact pickup should understand that it does not get any better than this. The 2019 Chevy Colorado is not all dashing good looks and power; it is also a brilliant piece of machinery with the best tech in automotive safety and connectivity. While these are not the only ways technology is being implemented into modern vehicles, they are some of the most notable advancements to the 2019 Colorado. When it comes to connectivity and entertainment the 2019 Colorado is packed. The base model comes standard with a 7-inch color touchscreen Chevy infotainment system that provides drivers with a number of useful tools and features. Using this system as an outlet, drivers can conveniently connect their smartphones, tablets, and laptops directly to the 2019 Colorado. Apple CarPlay or Android Auto allows you to access your smartphone while driving through Bluetooth technology as well as USB ports near the instrument panel. Once your smartphone is connected, you can then use it to receive and make hands-free calls and text messages, as well as access apps like maps and music. At the mention of music the standard sound system is a 6-speaker audio system that may not blow your ears off, but considering how quest the cabin is, it should do the job for most music lovers. In addition to all of this there features, there are also upgradable options such as a larger touchscreen, access to the Chevy app, built-in Wi-Fi, and even a wireless charging station for your devices. When you enjoy work or play, the 2019 Colorado is fitted with exciting state-of-the-art tech that is sure to satisfy. As for safety, Chevy bases its design on the idea of prevent, protect, and respond. The Chevy Colorado has already perfected its protection method with a high-strength steel body, an intuitive 360 degree airbag system, and sturdy seat belts, but the best way to combat a collision is to make sure it never happens. This is why it has to implement active safety technology to increase awareness and constancy. 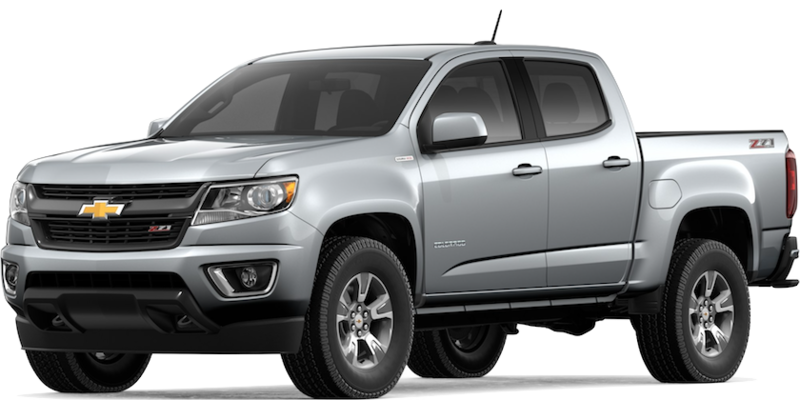 To start off, every 2019 Chevy Colorado is fitted with StabiliTrak Electronic Stability Control System, electronic traction control, teen driver technology, a tire pressure monitor, and the always helpful rearview camera. These features alone could reduce the collision rate by half, but just to assure the safety of drivers even further, the 2019 Colorado also offers advanced active safety features such as forward collision alerts, lane departure warnings, and park assist. So if you don’t feel safe and secure in a 2019 Colorado, you won’t feel safe anywhere. Features are what gives a vehicle that little extra boost of personality, and that is why the 2019 Chevy Colorado gives you the option to add whatever makes you feel most comfortable in your daily life. Carl Black dealership in Orlando is an automotive community that you can trust to produce results for every driver, no matter their restrictions or desires. Chevy is known for their versatility and ability to manufacture vehicles for the everyday driver, and in the same way, we want to provide a versatile service system for the everyday driver. No matter what budget or requirements you set, we will be sure to work with you in order to find that perfect automotive. The only thing you have to do is as simple as getting in contact with our friendly and informed staff, and tell us what you want. 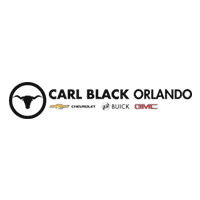 We know what the everyday driver needs, and while the process may be difficult, we at Carl Black Orlando are here to listen, guide, and deliver.